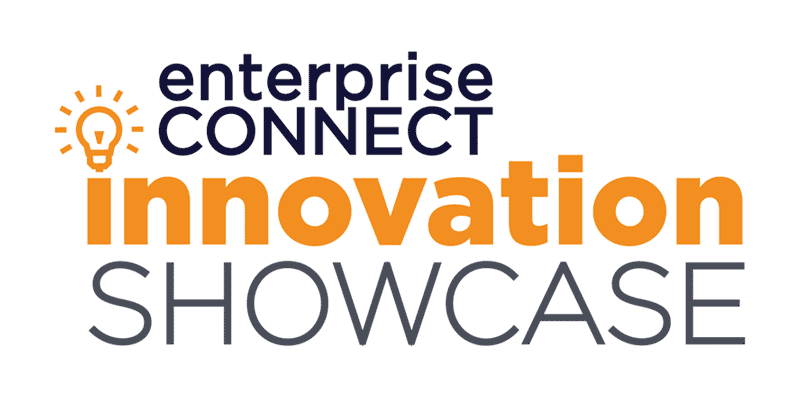 As part of the Innovation Showcase at Enterprise Connect, we only needed 5 minutes to demonstrate how Redbooth helps teams and organizations of all sizes work smarter. At the Enterprise Connect conference that just wrapped up in Orlando, Redbooth was one of 7 companies selected for an Innovation Showcase. We were also one of only 4 selected to present the virtues of our products to a standing-room only crowd at a Monday afternoon session prior to the opening of the exhibit hall. The trick was I needed to do it in less than 5 minutes. Showcase organizer Dave Michels, the researcher, analyst, and writer behind the TalkingPointz blog, made it clear that he would cut me off without mercy at the 5-minute mark. Brevity is a virtue, I know, but sometimes it takes someone else to remind me of that. Just like having a deadline helps us get more work done, having a time limit enforces focused discipline on a presentation. When other people stopped by the booth, I would often start by sharing the video with them to show them all the essentials — and then progress to live demo for the details. This helped me make the best use of their time. The video below is a replay of the presentation I delivered, including a few bonus slides about the company and a rapid-fire demo of the product that incorporated tips from Redbooth’s best demo masters. While it employs some movie magic to streamline the process, the video demo illustrates how a team’s online discussion can progress to identifying the work that needs to be done, assigning it to a team member with a deadline (or a priority rating like “Urgent”), and then moving to real-time communications like Redbooth Chat and HD Meetings video to answer questions, solve problems, and get more done. If you are just learning about Redbooth, or need help explaining the virtues of the platform to a friend, colleague, or boss, I hope you will find the video useful as a tool for understanding and explaining what makes Redbooth so special. One of the great things about this conference, which has traditionally focused on telephony, Voice over IP, and video conferencing, is how much of an emphasis there was on blending all the modes of communication and collaboration into a unified whole. Everyone has their own twist on that theme, but we think Redbooth is especially well positioned as a communication and collaboration hub centered on the workspace — the place where you organize and track all the work that needs to be done. The spokes of the hub are all the different modes of discussion, sharing, project collaboration, and real-time communication. Those include both our own platform services and integrations with cloud services like Box, Dropbox, and Google Drive as well as enterprise systems. The promise of Unified Communications and Collaboration has been an elusive goal for a long time, but maybe that is because most of the approaches to UC&C have been too complex. We offer a simple way of making it truly unified.